The all-volunteer Bhutan News Service is hosting a training session in Pittsburgh this weekend. Exiles from Bhutan make up the largest population of refugee newcomers to that city, so it’s a logical location. About 83-thousand refugees, resettled from camps along the Nepali border in a dispute that dates back over 20 years, are scattered around the world, but the majority (70-thousand) have been brought to the US in the last several years. BNS is an online-only concern, with contributors sending in reports from around the world. (Its current editor, Buddha Mani Dhakal, resides in Kentucky.) The idea is to keep the refugees connected as they’ve been resettled, both with news of what’s happening inside Bhutan, as democracy takes root there–and with information about what the refugees are facing as they build new lives. Suicide, for one thing, is high among the relocated refugees. Of course, the information exiled Bhutanese are most interested in is whether officials in Bhutan will engage in discussions to resettle them in-country, or to even acknowledge their existence. (Most Bhutanese dispute that the people in question were ever actually citizens.) That kind of news is rare. 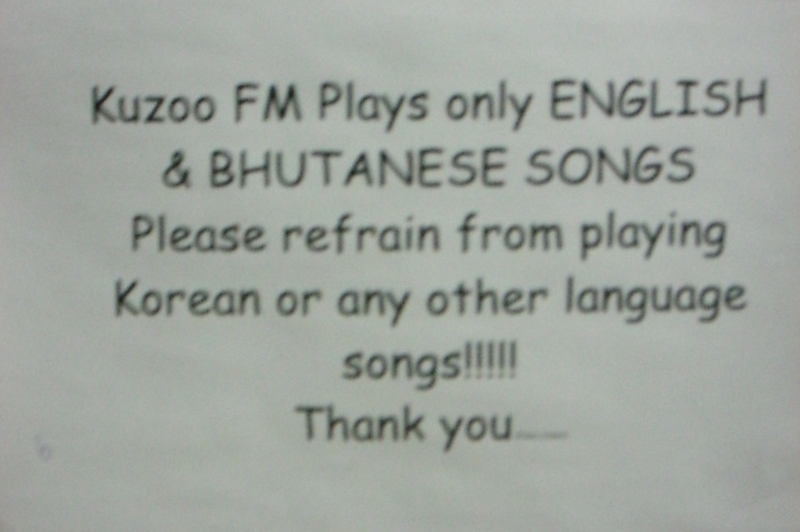 Since I first went to Bhutan to volunteer with the first non-governmental radio station Kuzoo FM in January 2007, I’ve slowly unearthed the previously little-told story of the southern Bhutanese. 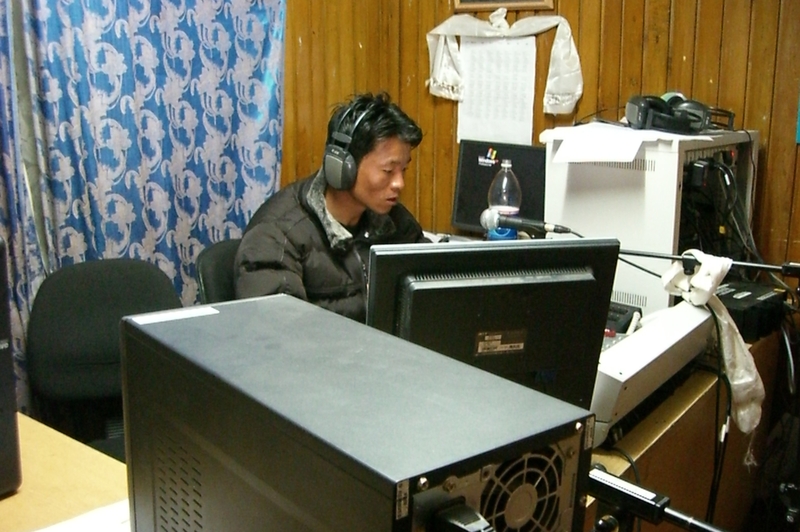 Just as I felt privileged to volunteer with young journalists at the dawn of democratic rule in Bhutan, (as the media landscape was just beginning and a newly drafted Constitution guaranteed freedom of the press,) I feel lucky to be in touch with the refugee population, too. Today, in a session we held via Skype, I had the curious responsibility of explaining to the group (from my home in Los Angeles) what media are like today in modern Bhutan. See, many of the younger contributors to BNS have never set foot in the country–they were born in refugee camps. None of the constituency has been there since long before 1999, when TV was first introduced into Bhutan. I felt an awesome weight on my shoulders, for having witnessed and experienced what I have as a third party. After 30 years in journalism, I’m often cynical about the state of the profession. But knowing this group of people, who take the incredible responsibility of informing the world about their situation and using media as a glue to hold them together, makes me feel the incredible power of communication. I believe that power will yield some sort of resolution to this long-standing dispute, hopefully sooner rather than later–as Bhutan changes, as the world changes, as we all change. A short film by Emily-Rose Wagner for the OWN channel. It’s about how friends and I have built community for ourselves here in LA (which gets a bad rap for being hard to navigate) by having a party every Friday night. I’m working on a “manifesto” about why to have weekly rituals like these in our lives, and would love your feedback.